Functional strength training is on the rise and is a good way to improve overall body composition and strength for even the most beginner exerciser. 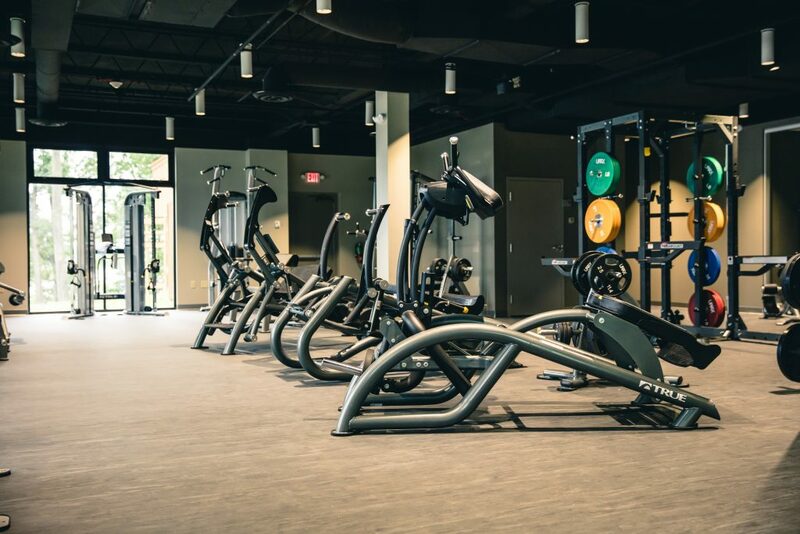 TRUE’s Composite Strength line of equipment allows for a different, more dynamic motion than traditional strength training equipment. All three of these machines activate more skeletal musculature than any other strength machine on the market, strengthening muscles and burning calories faster. Functional fitness can help improve balance, coordination, force, power and endurance to enhance one’s ability to perform activities of daily living. In fact, many strength training pieces mimic daily movements and can be used to help enhance other areas of training. It is important to get clients and members to understand that strength training helps prevent the age-related decline of muscle mass, keeps your bones and heart healthy and helps prevent pain and injury during everyday activities. This workout is designed for the person who wants to burn a lot of calories in a short amount of time. Strengthen your core, bones, and joints while building lean muscle to burn calories during and after the workout. Other benefits include improving endurance and functional strength. Remember, these exercises are to be performed in a 5-exercise circuit. That is, performing each exercise back-to-back with only 15 to 30 seconds of rest between each exercise! This is a workout that can be done 2 to 3 times a week. To help prevent injury, it is recommended to stretch before diving into a workout. The TRUE Stretch is a great way for users to get the most natural stretch possible. Keep in mind that weight for each rep can be adjusted – only do what is comfortable for you! The exercises provided by TRUE Fitness are for educational purposes only, and is not to be interpreted as a recommendation for a specific treatment plan, product, or course of action. Exercise is not without its risks, and this or any other exercise program may result in injury. To reduce the risk of injury, before beginning this or any exercise program, please consult a healthcare provider for appropriate exercise prescription and safety precautions. The exercise instruction and advice presented are in no way intended as a substitute for medical consultation. TRUE disclaims any liability from and in connection with this program.